RED are one of those all-too-rare bands for whom success came fast and hard. Founded in 2004 by ace guitarist/composer Jasen Rauch and drummer Andrew Hendrix (who would eventually leave the group), the Nashville-based quartet was quickly signed to Essential Records, Sony BMG's hugely successful Christian music imprint. 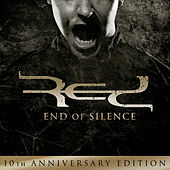 RED's debut, End of Silence, produced by the in-demand Rob Graves, made the group an instant force not only in the world of Christian metal but in all of modern rock as well. With its crunchy yet melodic mix of post-grunge angst and snarling metalcore, the group's first single, "Breathe Into Me," cracked the Top 20 on Billboard's U.S. Mainstream Rock chart. RED's second full-length, the even heavier Innocence & Instinct, generated more crossover appeal, debuting on the U.S. Billboard 200 chart at a whopping No. 15. In November 2007, the group's tour van was in a serious highway accident near Nashville. 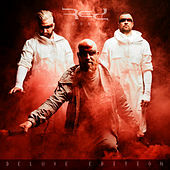 But despite injuries to drummer Hayden Lamb, who sat out the rest of the tour and subsequently left the band, RED soldiered on, tirelessly delivering its brand of brooding Christian hard rock to an insatiable and ever-growing fan base.